This project doesn’t necessarily require 3D printing. Depending what you’re making, it may be sufficient to mount the display breakout boards on something as-is. These little 3D-printed enclosures are useful for holding domed lenses over the displays. And they’re absolutely essential if creating something wearable. The ambient humidity in a costume will kill exposed circuit boards in no time! We’ll start with the 3D printing because it affords the opportunity to test-fit these parts before buying the electronics, to check whether they’ll even work in the spot you have planned. They add some bulk behind the eyes and the whole idea may be a bust. 1.5 inch (38mm) cabochons (domes) magnify the screens slightly and give the eyes a cool 3D shape. I found mine at Tap Plastics, but any good plastics supplier should have these…or there’s eBay or Etsy. For good magnification and for the cases to hold them properly, the lenses you use should have a high dome to them…a full half-sphere. Each enclosure requires four (4) #2-56 flat-head machine screws, 3/8" long, plus matching nuts. This is another “probably easier to find online” part, unless you’re blessed with a well-stocked local hardware store. The enclosure pieces are small and will fit even on compact entry-level printers. I found it best to print each part as a separate job (rather than tiling all the parts on the printer bed) — less oozing / strings means less post-print cleanup — but every printer is different and maybe yours fares better in this regard. Some filaments such as ABS are known to shrink slightly (about 2%). You may need to scale the .STL files very slightly larger before printing. DO NOT force parts into a too-small case…THEY WILL BREAK. File or sand away any major protruberances. If you rinse off the parts afterward, make sure they’re completely dry before assembly, maybe leave them on a fan for a couple hours for good measure. The ideal goal is for the lens to just fit in the case front, with the back faces flush. Too snug and the lens will press against the screen (possibly cracking it), too loose and it will simply fall through. If a little too snug: use sandpaper around the opening to make it just a little wider, and try again. If too loose: if it falls through but is a close fit, that may be good enough…we’ll glue the lens and case later. If it’s really loose or snug, you may need to tweak the geometry to fit your specific cabochons. A CAD model for Autodesk 123D is included with the files. Use the “Press/Pull” feature to tweak this ring…positive values for a tighter fit, negative for looser…try just a fraction of a millimeter at a time. Export as STL and try again. Assembling the screens requires that the electronics be completed first. But since the 3D printing doesn’t apply to everyone, it’s all kept on this page rather than throughout the guide. Therefore, go ahead and work on the electronic assembly starting on the next page, and return here when you’re ready to assemble the enclosures. Electronics should be tested and working first, then return to this page. Peel off the plastic screen protector if you haven’t done this already. The display and front piece fit together a certain way — it’s not symmetrical. A little notch provides some clearance for solder connections that tend to protrude from the front of the board (with the wires on the back). The solder connections should be at this end of the case. NOT the thin plastic ribbon cable to the screen. I don’t have a 3D-printed case design for the Teensy yet. If this is going inside a costume, you’ll need one, to keep out moisture. If you’re handy with 3D CAD, it shouldn’t be too hard…a rectangle with some cutouts for wires. Otherwise, you can just get creative with a small plastic box (like some mints or breath strips come in) and hot glue. No rocket science required. DO NOT FORCE ANYTHING. The screen glass is thin and incredibly fragile. If there is resistance during installation, stop and check tolerances, make modifications to the case as needed. Ideally, this is how the front will go together. Board sits flush in case, dome sits flush against display…doesn’t press hard against it and doesn’t fall out. As mentioned earlier, if it’s too tight you can sand the opening, if too loose the dome can be glued later. A small notch on the back of the display provides clearance for the ribbon cable. (It’s slightly off-center on the OLED case, this is on purpose.) File as necessary if it doesn’t quite fit. Fit four #2-56 nuts to the notches in the front of the case. The notches may have some detritus from 3D printing…clean these out with tweezers or a file. Add four #2-56 x 3/8" flat-head machine screws from the back, and tighten carefully. If the case puts up resistance to closing, STOP. Something inside isn’t fitting right. Open the case and look for any plastic that needs filing down, or wires not sitting flat. The display is made of glass and will break if forced. DO NOT USE CYANOACRYLATE (“KRAZY”) GLUE. Don’t laugh…t-shirt puff paint actually makes a decent adhesive and sealant for this project! The applicator tip lets you draw a fine bead where the case and lens meet. Just like caulking a bathtub! Allow several hours to a full day to dry completely. You could also use this to draw a gasket between the two case pieces before closing it up, and add a bead around the hole where the wires enter. Obviously, you should test all the electronics 100% first before committing to this step. For a more industrial bond, these same steps can be done (very carefully) with a toothpick dipped in epoxy or E6000 craft glue. The enclosures can now be installed into something else (e.g. taxidermy dinosaur head) with your adhesive of preference…hot glue, E6000, etc. 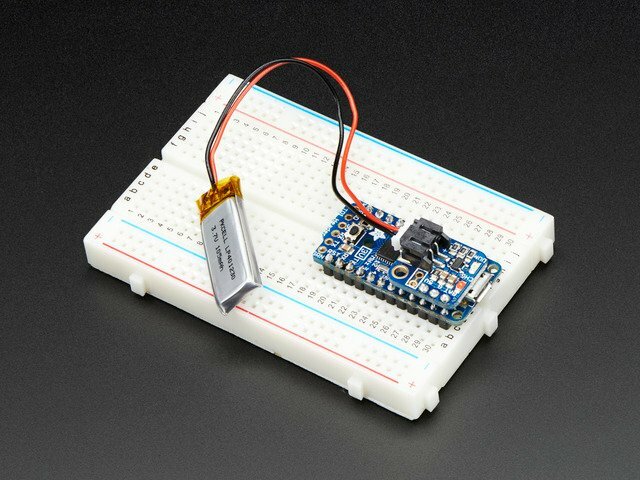 and will link up with the Teensy board as described on the “Wiring” page. Before diving in, give some thought to how you’ll be using this. At the very least, this project uses a Teensy microcontroller and a display or two. The animation effects are all capable of running autonomously if need be, or there are options to have them manually controlled. The method of assembly is also open to interpretation. If you’re making a spooky prop to sit in the window on Halloween, but plan to disassemble it afterward and use the parts in other projects, you can use a breadboard and jumper wires for quick assembly and re-use. For something portable, like jewelry or a costume piece, soldering wires directly between components is vital — both for space savings and for durability. If creating eyes for a puppet, you probably want manual controls for nearly everything, as that’s the very nature of puppetry. For a costume, I think autonomous works better. Good cosplay is all body language…but when electronics are added, fantastic characters are spoiled when the performer is focused on modes and buttons. But hey, it’s up to you. Give it some thought. I’ll wait! Half and half: these eyes are neatly assembled in 3D-printed enclosures while the rest of the circuit is a messy breadboard. Once everything’s tested and working, the breadboard side will be replaced with a more permanent solution and fitted inside a Halloween prop. Whatever works for your needs! Many configurations of this project are possible, depending on the features you’re after. Rather than a single complex wiring diagram, a few subassemblies are illustrated here…pick and choose to match your needs. What’s shown here are schematic diagrams — they indicate where to connect wires, but not necessarily their exact actual layout or lengths when you build the thing. You’ll need to think how everything fits in your own setting. Using color-coded wires helps a lot here! This is a simplified pinout to clarify things specifically for this guide. If you plan to add your own advanced bells and whistles, a more complete pinout map is available on the PJRC web site. Ground connections are vital for distributing power throughout the circuit. In addition to the two GND pins labeled here, there are two copper pads on the back of the board — one near the center, and a second large one near the USB port (next to the GND pin). The AGND pin provides a cleaner ground reference specifically for analog inputs — this is not a current-carrying pin for distributing power, do not connect the displays here. Some of the pin numbers we’ll be referencing are negotiable…if you find that a different pin would make routing wires easier, there’s usually a setting in the code that can be made for it. Anything related to power or SPI is not negotiable…those wires must go to the pins stated. If you have an opportunity to power everything from the Teensy’s USB port (running a USB cable to a power bank or wall charger), that’s easiest and reduces parts and steps. The most compact, portable installations may optionally want a built-in Lithium-Polymer (LiPoly) battery. If your project uses one or two TFT LCDs, a 150 mAh battery may suffice (though a larger capacity will provide a longer run time). For one or two OLEDs, a 500 mAh battery is the minimum size. Add power switch to pins on LiPoly backpack. 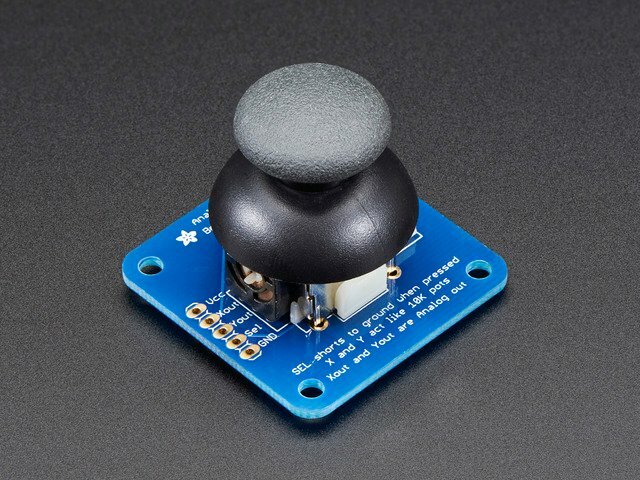 These tactile on/off switches are my favorite! If battery capacity is 500 mAh or larger, solder between the charge rate jumpers on the back of LiPoly backpack. Do not do this with small batteries! When you cut the trace on the Teensy board, it won’t run from USB power until the LiPoly backpack is connected and switched on. This is normal. If a sketch won’t upload on a half-built project, this may be the reason why. Power the display(s) from the BAT+ (corner) pin. If you're not using the LiPoly backpack (powering off a USB cable instead), that’s okay — by default this pin also connects to USB+. You have a choice of using one or two displays, either OLED or LCD. But you can’t mix one of each — both must be the same type. OLED displays have brighter colors and contrast. Downside is the price, and also that they flicker a little when captured on video. TFT LCD displays are more affordable. Not as bright, but still a good effect. And they’re rock-steady on video. If making two eyes, both displays need to connect to the same SPI MOSI and CLK pins on the Teensy, plus a few other wires. The “OC” or “TCS” pins are unique to each display, left or right. The remaining four pins are not connected. “Left” and “right” eye in this case refer to the positions when looking at the eyes, not from their point of view. This nomenclature is used throughout this guide and in the software. If you’re using them, the 3D-printed enclosures have a small notch that’s just wide enough for a 7-conductor ribbon cable to fit through. Space inside is really tight (I wanted them to fit inside a mask), so it’s necessary to route these wires to their pins very carefully so they lie as flat as possible on the back of the board, not all piled up. It’s delicate work that requires tweezers and patience. If using a ribbon cable as shown above, write down your own legend that maps wire colors (or wire numbers if single-colored cable) to pin functions. Because the cable colors are in a fixed order and there’s little space to reroute inside the case, certain wiring conventions used in electronics (such as using red wire for positive voltage and black for ground) no longer apply…you’re forced to take what you’re given. What’s more, with wires doubled back, the conductors along the ribbon don’t necessarily match the order along the display breakout header, it’s all jumbled now. Do not use our photos for reference. Do not rely on the colors shown in any diagrams here. Write down the exact sequence for your cable and your routing, and use only that for reference, nothing else. Write down your own wiring legend. Do not rely on the colors used in this guide. The wiring for the TFT was even more “creative,” with some wires a straight shot and others doubled back. Again, notice the wiring legend. Do what works for you. If you’re not using the 3D-printed enclosures, everything is much simpler. You can just connect to the pins in-order, there’s no space constraint that must be met. Wanting to test with a breadboard first, I made the ribbon cables extra long (about 8 inches) and soldered row pin headers on the end. Later, for permanent installation, I'll cut the ribbon cables down to size and solder wires directly to the Teensy board. This is totally optional…maybe you only want to build it once. Just try to keep the wire lengths to a minimum…high-speed SPI can be very finicky about this. Even 8 inches is pushing it. The displays arrive with a plastic sheet on them. Keep this in place when soldering, but remove it once you’re done. This isn’t like a phone screen protector, just for shipping and soldering protection. The display breakout boards include microSD slots, but those are not wired up in this project and the code doesn’t reference them at all. Advanced users who want this capability can connect the SPI MISO and card select pins (you’ll need to modify the enclosure slightly to accommodate the extra wires) and make the required changes in the code. 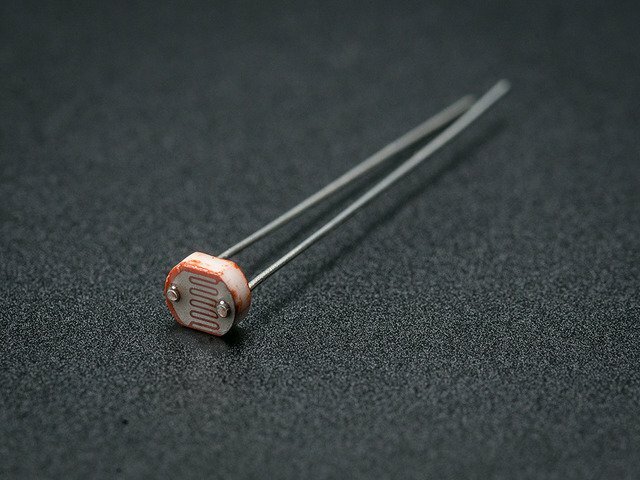 Any analog controls that are used should include connections to the 3.3V and AGND pins. Don’t use the other power pins or there will be…trouble. Digital Pin 0 is the left eye wink. Digital Pin 1 blinks both eyes. Digital Pin 2 winks the right eye. OUTPUT LOW makes the pin function as an ersatz ground connection. This works perfectly for button connections like the blink controls, but don’t use it for heavy loads (like powering the displays) — it won’t work and might even damage the Teensy. After wiring everything up, proceed to the next page and test out the software. Once it’s all tested and working…if using the 3D-printed enclosures, return to that page to complete the assembly. Otherwise, you’re on your own now, to install the electronics in your own finished design. Do not install the Adafruit_GFX, Adafruit_SSD1351 or Adafruit_ST7735 libraries offered by the Teensyduino installer! Use the Arduino Library Manager or install these manually from Github code. The Teensyduino-installed libraries sometimes diverge from the latest Adafruit code and might prevent this project from compiling. When first building this project, please test initially with the canonical “Uncanny Eyes” sketch linked later in this guide, not anyone’s derivative code. This will help with any troubleshooting/support. Once the default code works, then you can try out variants that may be out there. If you’re not using a recent version of the Arduino IDE (1.6.5 or newer), this would be a good time to upgrade. Once you have that software installed and working, download and run the Teensyduino installer, which adds support for the full line of Teensy microcontroller boards in the Arduino IDE (but remember, don’t install the display/graphics libraries there…use the Arduino Library Manager instead). From the Tools menu, select Board→Teensy 3.2 and CPU Speed→72 MHz (and whatever optimization settings you’d like). 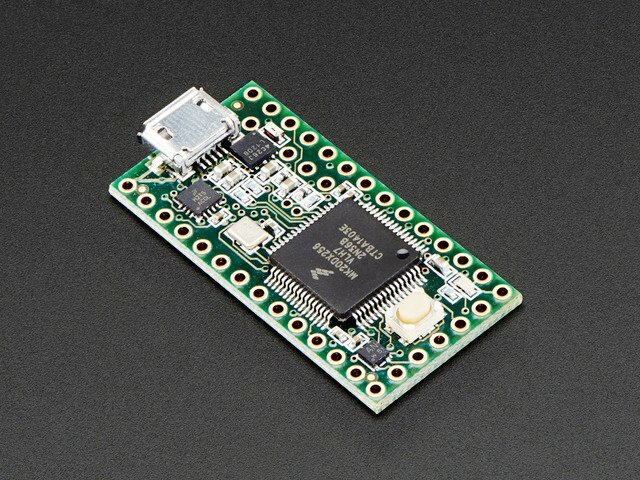 Confirm that you can compile and upload the classic “blink” sketch to the Teensy board. Don’t use the 96 MHz setting; the code actually performs a bit better at 72 MHz (due to SPI settings). Do not continue until you have the Blink sketch working on the Teensy board. Using the Arduino Library Manager (Sketch→Include Library→Library Manager…) install Adafruit_GFX and Adafruit_ZeroDMA, plus the library compatible with your display: Adafruit_SSD1351 for the OLED display, Adafruit_ST7735 for TFT LCD. The sketch is utterly ginormous. In addition to several hundred lines of code in the main sketch, arrays containing graphics take up most of the space in the Teensy’s prodigious 256K flash program space. One line is enabled, the other is commented out. By default, OLED is used. Comment out the opposite line if using TFTs. Either Teensy support has not been correctly installed with the Teensyduino installer, or one or more of the libraries is not installed (Adafruit_GFX, Adafruit_SSD1351 or Adafruit_ST7735). Please see the notes at the top of this page regarding IDE & library compatibility. The code compiles and uploads but nothing happens! Check the connections between the display and Teensy board. Did you enable the correct #include line for the display type (OLED vs TFT)? 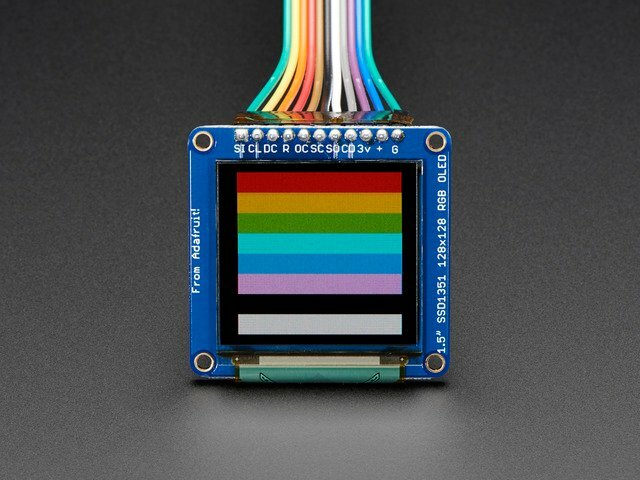 Are you following the correct order-of-wires for the display type (OLED vs TFT)? Are any wires off-by-one on the Teensy? 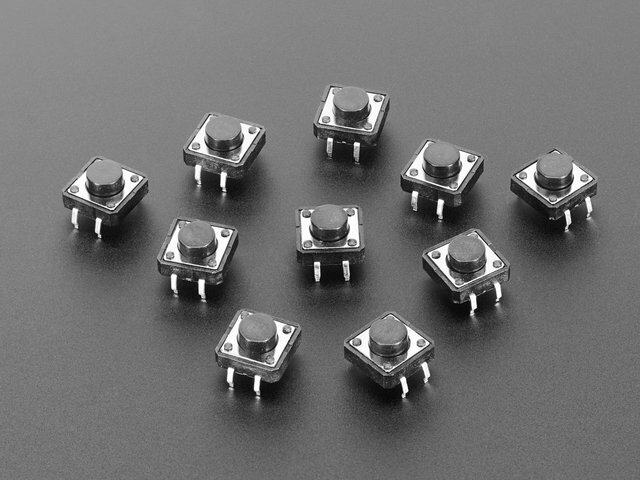 Any cold solder joints, or solder bridges between pads? It kinda works, but the display is glitchy! Keep your wires as short and as tidy as possible, check solder connections for good form. High speed SPI is really persnickety about connections. Is the right CPU speed selected? Still having trouble? Start a new thread in the Adafruit forums describing the symptoms. 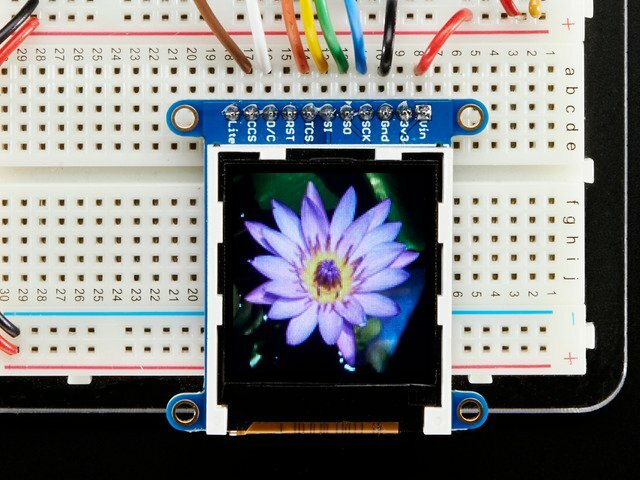 It’s extremely helpful if you can provide in-focus and well-lit photos that clearly show all the connections between the display and Teensy. Do not continue until you see an eye. If it’s not doing exactly what you want, that’s okay, just need an eye to start. Basic customization — enabling or disabling certain features, or changing pins assigned to functions — is done by editing the file config.h (it’s the second tab when the code is open in the Arduino IDE). First section of this file controls the appearance of things. defaultEye.h is human-ish in design. Okay, so the iris is anime-sized, but I’m so proud of that iris-scaling code I had to show it off as much as possible. Some animals have such huge irises you rarely see the sclera (the white part of the eye). noSclera.h is an example eye for these situations. dragonEye.h because dragons. It’s a moral imperative. Goats (or is it Krampus?) have the weirdest pupils. goatEye.h is an attempt at simulating this. I designed this one to not move around, just to demonstrate how its done (the sclera image is the same size as the screen…no room to move…normally the sclera image is a bit larger). Normally the software renders the two eyes with distinct left and right shapes (there’s a caruncle — that corner area near the tear duct). Some projects only use a single eye and this shape just seems odd. Enabling SYMMETRICAL_EYELID uses a simpler “football shape” that’s neither left nor right…it’s a bit cartoonish but may look better on single-eyed creatures. 0 is the default orientation, with the display’s connector at the top. 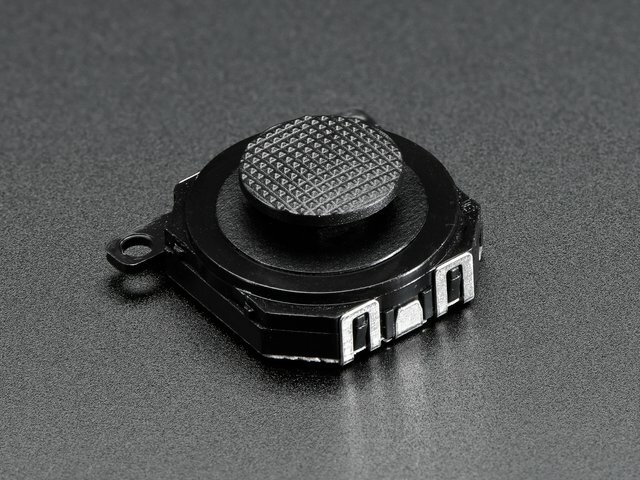 1 rotates the graphics 90 degrees clockwise (compensating for a display that’s installed 90° counterclockwise, with the connector at the left). 2 rotates the display 180° (as on the Hallowing board). 3 rotates 90 degrees counterclockwise (compensating for a display with the connector at right). The stock code, as shown above, has two eyes. To work with just a single eye, comment out or delete one of the two lines. In the Hallowing case (if ADAFRUIT_HALLOWING is defined), this is already done (notice also the rotation value of “2,” because the Hallowing screen is oriented upside-down). If the project involves multiple eyes, these lines should fan out from the microcontroller to ALL displays; unlike the select pins above, which are unique to each display. The Hallowing board has a different set of pins already defined, plus some extra items for backlight control. TRACKING sets whether the upper eyelid follows the pupil (as actual eyes do, it’s a neat thing). You can turn this off by commenting out this line. LIGHT_PIN states where the photocell or dial is connected for adjusting the size of the pupil/iris. LIGHT_PIN_FLIP reverses the direction, like the joystick settings (lower values should be darker). LIGHT_MIN and LIGHT_MAX are the minimum and maximum reliable readings from the sensor (it might occasionally go below or above these, but it's rare, probably noise that can be disregarded), while IRIS_MIN and IRIS_MAX control the dilation of the pupil in response to the light reading (smaller numbers = smaller pupil, range is 0 to 1023). IRIS_SMOOTH filters the input from LIGHT_PIN so it’s not twitchy. This slows the reaction time, but the movement is similar to real eyes, pretty nifty. BLINK_PIN specifies a pin where a button is connected for blinking both eyes simultaneously (distinct from the individual left/right wink pins previously discussed). If you don’t have a button connected for this, the line can be commented out or the value set to -1. AUTOBLINK (enabled by default) makes the eyes automatically blink randomly every few seconds. You can comment this out to make the eyes only blink with the buttons…or you can use both in combination. This guide was first published on Sep 07, 2015. It was last updated on Sep 07, 2015.